Mulching your landscaping beds adds an attractive, finished look to the landscape while it aids in weed suppression, retains moisture and helps moderate fluctuating soil temperatures. Dowco will top dress existing beds ensuring a finished depth of no more than 3″ . Mulch protects your delicate plants from the early spring frosts and summer’s heat waves. We will keep the mulch off of the sill plate to the house to control moisture and will rake the new mulch smooth. Our mulch is quality oak and pieces will be uniform in size and texture. Topdressing beds with a layer of mulch in the fall keeps your plant beds looking nice and protects your plants material from the harsh winter temperatures. It's tempting to get through winter with mulch that was applied in the spring. But, during the bleak winter months it's the LINES, CONTRAST, and TEXTURE that make you smile every time you drive up. People seldom notice this in the growing season because there's so much else to look at such as blooming flowers. 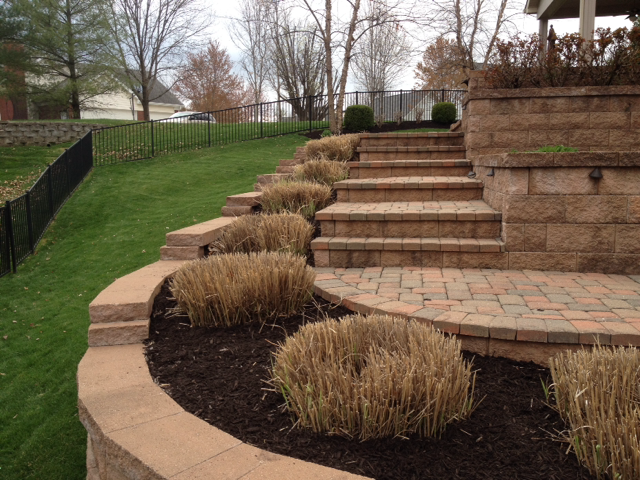 But in the winter, a new layer of mulch with a final mowing really adds the finishing touch to your landscape. Double Ground: Most commonly used in St. Louis. It has a medium consistency, medium color and lasts for about 1 year in our area. Color tends to fade from the sun about mid-season. Triple Ground: Fine consistency and dark brown, almost black color. Great for use in flower beds. Decomposes more quickly. Will wash away on sloped areas. Dyed: Similar consistency as double ground. Product is treated with a biodegradable dye. Will hold its color for at least one season. If mulch is placed on concrete prior to spreading it may cause temporary stains. Dye color options include brown, black and red. Prior to all mulching jobs, Dowco will perform a bed cleanup service. Think of it like making a smooth cake before applying the icing. 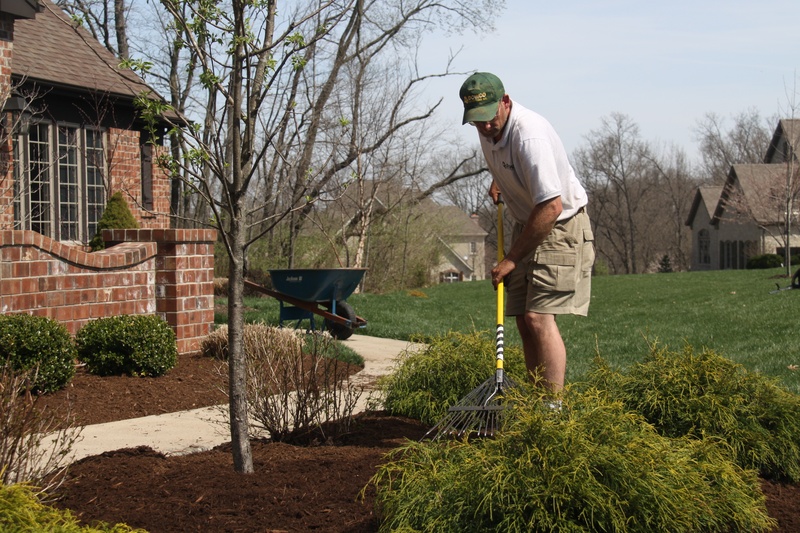 Our St. Louis bed cleanup service will enhance your property's curb appeal and ensure the horticulturally-correct maintenance of your plants. Cleaning and mulching your beds is just the beginning. Keep your beds clean throughout the season with our monthly bed maintenance and weekly weeding services.